The feed insures a realistic business case based on technical concepts which correspond with the huge investment of a glass plant. 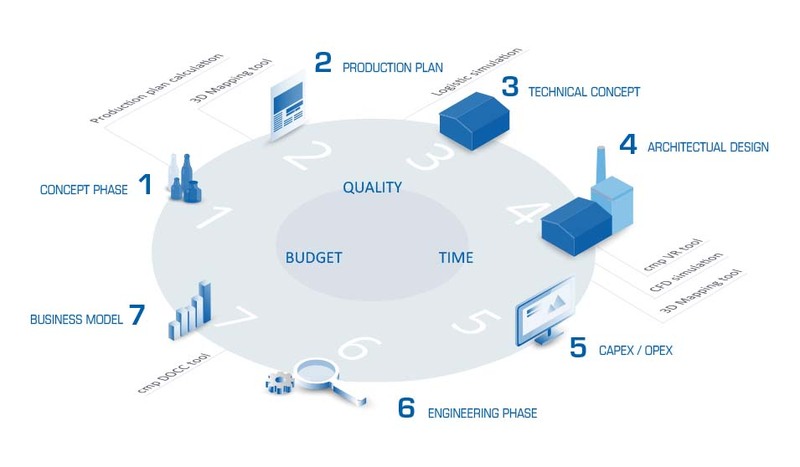 Based on the outcome of a basic engineering potential investors feel confident to develop a reliable assessment of the project`s success, forecast and potential project risks. Therefore it is important that every significant aspect is taken under consideration.